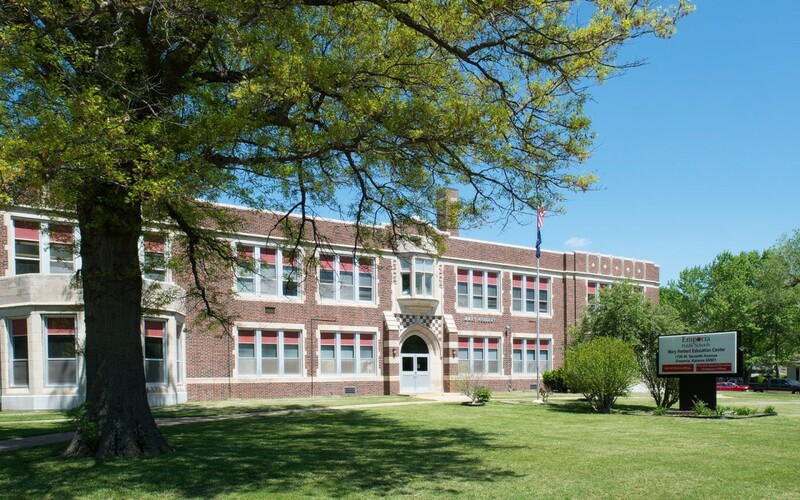 From the street, our schools appear to be empty and quiet during June and July, but once inside a visitor will hear and see evidence of cleaning and painting crews working and maintenance crews finishing repairs in preparation for a new school year. Behind the scenes, staff are hiring teachers and support personnel, working on budgets, gearing up for student enrollment, ordering and unpacking supplies, and planning the professional learning that begins for new teachers July 24. The Food Service Department is especially busy preparing breakfast and lunch every weekday for children in our community. Anyone up to age 18 can eat a free lunch and breakfast every weekday at four schools — Emporia Middle School, Riverside, Village and William Allen White — through July 28. The MealSpot summer program has been serving, on average, 275 breakfasts and 600 lunches daily since the end of May, and on Monday, the new food truck served its first meals at the Emporia Public Library. The expanded summer program was made possible by a grant obtained by the city of Emporia and United Way of the Flint Hills from Cities Combating Hunger Through After-School and Summer Meals, or CHAMPS. The community involvement in our summer meals program demonstrates one of the pillars of Kansans Can, the state vision to lead the world in the success of each student. Kansans Can advocates for collaboration among schools, parents, communities and businesses. The power of collaboration with United Way and the city allows us to increase our support for students’ academic and emotional development, regardless of whether they are in the classroom. As we turn the calendar to July, we officially start a new fiscal year and welcome new members to our leadership team. In a few weeks, new teachers will arrive at Emporia Schools to receive additional training and resources to help them meet the needs of Emporia students. Joining the district this month are Kelly Bolin, assistant superintendent of Human Resources; Chuck Samples, director of Community Relations; Steven Bazan, principal at Emporia Middle School; Keith Glotzbach and Jacob Linnell, EMS assistant principals; and a new assistant principal at Village yet to be named. They will join a dynamic and passionate leadership team that works hard to put students on a path for success using the Kansans Can roadmap. One of the reasons I embrace the Kansans Can vision is because its components make sense and align well with principles followed in the Emporia Public Schools. For me, Kansans Can really helps us focus on student success. Kindergarten readiness is the first milestone that our schools and community must meet to make sure that all of our students are ready to begin school. Our current Kindergarten readiness resources include a multitude of options for our youngest students including private preschool, Head Start, services available at Maynard Early Childhood Center, and our recent addition of the Mobilizing Literacy Grant. This year, we also are adding a kindergarten “jump start” for students who have had no preschool experiences. Together, these resources have the potential to positively impact future generations and their ability to function at high levels. I am pleased with the steps we are taking to enhance our kindergarteners’ readiness because of the positive impact this will have for them down the road. I am also pleased with how the Individual Plans of Study component and the career paths are developing at Emporia High School and Emporia MIddle School as our students get a better sense of what they want to do in life. Look down the road to the final destination of Postsecondary Success — the finish line for our students — whether that is a certificate, the military, a two- or four-year degree. We were recently reminded by the Kansas Commissioner of Education that, by the time the incoming class of high school sophomores graduates high school, more than 70 percent of jobs in Kansas will require some kind of postsecondary completion. It is no longer enough to have only a high school diploma to find jobs that will allow our students to earn a comfortable, middle-class wage. The challenge for the new leadership team will be to move our kindergarten students through 13 years of meaningful, relevant instruction and support so they have the tools for their postsecondary journeys. Our team will be ready to give our teachers and staff, new and returning, the tools they need to make this happen. I am confident that we will #StartStrong in August as we make progress toward the Kansans Can Vision to lead the world in the success of each student.